New this month Visible crew/equipment: When the engineer brings Carol back to the transmitter, he is running up the driveway. The camera shadow is visible on the pavement. New this month Visible crew/equipment: When Carol walks up the drive to the transmitter, the shadow of a crew member is visible on the pavement. It moves. Continuity mistake: In the scene after the second crash, when the pilot and his wife "borrow" the jeep to return to the base, the shot is flipped, reversing the positions of the husband and wife in a mirror image of the real vehicle, placing the "driver" in the passenger position and the spare tire, which should be on the near side, is now on the far side. In the next shot, as the vehicle nears the base, everything suddenly resumes the correct perspective. Andro: Better to die than to sit and watch the world die. 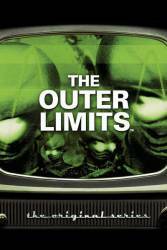 This is the only Outer Limits episode that lacks both opening and closing narration. It was absent because "Forms" was the unsold pilot for a series called The Unknown. A second version, stripped of all its supernatural elements (Tone was simply a mad scientist, not a real time traveler), also failed to sell.